In 2017, Whirlpool added wifi and Amazon Alexa voice integration to 20 models. In 2018, Whirlpool connected appliances had even more to offer with Google Home integration. They also have an app for Apple smart watches in the works that will allow you to do things like check on and change washing machine or dryer cycles and oven temperatures. One benefit of these multiple integration options is that you can stick with the virtual assistant and voice control systems you already prefer rather than being forced to switch over to a new one in order to use your smart appliances. Now, what are they up to in 2019? We'll explore what's to come and cover what Whirlpool released in 2018 as well. A new feature for 2018 Whirlpool connected appliances is integration with the popular recipe app Yummly, available on both iOS and Android. Both the Whirlpool Smart Front Control Range and Whirlpool Smart Over the Range Microwave can scan UPC codes from frozen meals and automatically set the needed cook time and temperature or power levels. This technology is called Scan to Cook. The Yummly and virtual assistant integration is expanding for 2019. First of all, it will be easier to ask Google Assistant and Amazon Alexa to do things for you - so instead of saying "Hey Google, ask Whirlpool to preheat the oven," you can say "Hey Google, preheat the oven." Also, you'll soon be able to use Yummly Voice with the Yummly app so you can interact with a recipe without needing to stop what you're doing and wash your hands before touching your phone. The Yummly app now also comes with Ingredient Recognition: using your phone's camera, it can help you quickly find a recipe that works for the ingredients you have on hand, or make a shopping list. Does trying to put together a meal when you're low on groceries stress you out? Then this feature will be a big help! The over the range microwave is a cool option for Whirlpool to offer since many smart connected appliances are larger, and therefore more expensive, like refrigerators and ranges. This microwave also has a touchscreen that "learns" what your most common selections and presets are and will offer them up to you first thing. So if you want to dip your toe into the smart appliance trend, Whirlpool model WMH78019HZ available at $619 is a great way to experiment without breaking the bank! Whirlpool is adding to the unofficial competition for "largest touch screen on an appliance" with their Connected Hub Wall Oven, which is still just a concept (not released or for sale yet) at the time of this writing. This is an expansion on their smart wall oven offering: this hub features a 27-inch touchscreen on the oven door. It uses augmented reality to show you how to cook after it's scanned the interior - for example, where to place the built-in temperature probe in a roast chicken - and helps guide you through different recipes. You can even "zoom in" on your food while it's cooking inside without opening the oven door and wasting the heat. On top of being a cookbook and cooking assistant, this wall oven will hopefully also help you coordinate multiple recipes, suggest meals based on time available for dinner, and show family members' calendars. Now that the GE Kitchen Hub is on the market, it looks like Whirlpool is looking for a touchscreen smart appliance of its own. As of this writing, there's no news on when this wall oven will be in production or what it will be priced at. Fingers crossed! Below is a short concept video from the WLabs Facebook page (WLabs is Whirlpool's "innovation incubator" that is developing and testing the wall oven hub concept and plenty of other things). Whirlpool's new lines of smart ranges and wall ovens are integrated with Yummly as well in ways designed to make it easier for you to use the recipes you find online. These appliances can automatically preheat and adjust for temperature changes that a Yummly recipe calls for and even walk you through the recipe using a color touchscreen. The Yummly app offers a lot of cool features like personalized recipe recommendations, and now it can send the cooking instructions right to your range! This integration makes following recipes so much easier. The range is also compatible with Google Assistant and will also use Amazon Alexa in the future, so you can tell your oven what to do without getting up from your chair. 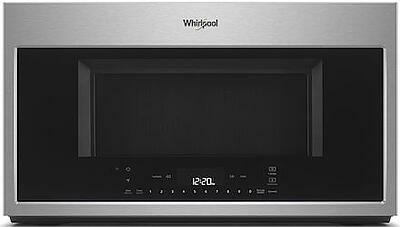 Plus Whirlpool's smartphone app allows you to preheat the oven or adjust its temperature with your smartphone. A proximity sensor built into the touchscreen adjusts the size of the screen's text based on how far away from it you are so you won't have to squint to see the next step in a recipe! For more details, you might want to check out the WOSA2EC0HN wall oven as an example of what you can expect from Whirlpool's smart appliances. This model also comes with a digital meat thermometer that combines with the other smart features to give you a perfectly done roast every time! One of Whirlpool's smart refrigerators, model WRF984CIHZ, has a lot of tech features to offer in addition to being available in Whirlpool's black stainless steel or fingerprint resistant stainless steel. 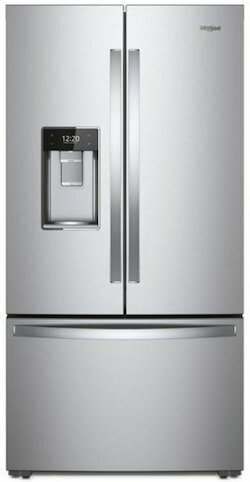 This French door-in-door refrigerator features a (relatively) small touchscreen above the water dispenser that focuses on helping you manage your groceries and meal preparation. The touchscreen includes options like Amazon Dash integration, so you can quickly reorder items like toilet paper or kitty litter with the touch of a finger. If you're marinating meat, this smart refrigerator can recommend marinating times depending on the cut, and you can even set a timer so you don't over- or under-marinate. You can let this refrigerator know when you're cleaning it, so it will turn off the door alarm and cooling processes to save energy. If you're looking for a refrigerator touchscreen that can do almost everything a tablet can do, you might prefer the Samsung Family Hub refrigerator. But if you want a smart refrigerator with smart abilities that are focused on what you need to keep your kitchen running smoothly, you should definitely check out Whirlpool smart refrigerators. 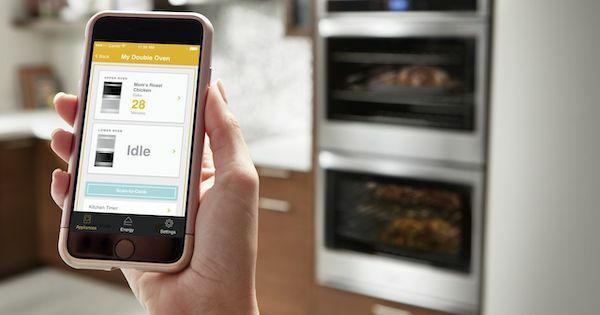 Whirlpool has kept its focus on food and cooking rather than trying to encompass all of your tech wants and needs at once, so their smart appliances may be ideal for people who don't want an "everything but the kitchen sink" smart appliance system. Combination washer dryer units are rare but not unheard of from brands like LG and Kenmore. Starting at $1,700, the Whirlpool Smart All-In-One WFC8090GX is a front-load washer and ventless electric dryer with smart appliance integration. It will be integrated with the Apple Watch and Amazon Alexa, and you can control it from your smartphone as well. You can check the status of a wash or dry cycle, start or pause a cycle, and more even if you're not at home. The Smart Laundry line also includes top load and front load washers and dryers (gas and electric) with touch screens that adapt to your most-used cycles and suggests customized presets based on your routines. Starting at $1,399, these models have a lot to offer. The front load washers all come with a Load and Go XL bulk detergent dispenser and are nicely sized models at 5.0 cubic feet. Most of the smart laundry options are front load models but there is a top load washer, electric dryer, and gas dryer available in the lineup. They're also simplifying voice commands to their Smart Laundry line for use with Google Assistant and Amazon Alexa, and planning to expand their mobile watch functionality to include Wear OS by Google in 2019. Soon both Android and Apple watch users will be able to remotely communicate with their Whirlpool smart appliances! What's Up With the Whirlpool App? Lots of appliance brands have apps for controlling smart appliances and providing a connected home experience. If you're doing your research, you might be looking at the Whirlpool app on the Google Play Store and the Apple Store. Unfortunately, on both platforms, the app has two stars or less as of this writing. However, one factor to consider is that people who have bad experiences are much more likely to leave reviews than people who had a neutral or good experience. On the Google Play Store, we can see about how many times the app has been installed on a device: in this case, over 10,000. At the time of this writing, there are 196 reviews - so less than 2% of people who downloaded the Android version of the app have actually left reviews for it. When it comes to wifi connected appliances, there are little technical issues that can impact the appliances and the apps used to control them. Based on the first few pages of reviews, the main problem is connection issues between the appliance, the app, and the wifi network. Still, this is a very small sample size - thousands of people had experiences that were not awful or amazing enough to warrant leaving a review. Even the LG Smart ThinQ app, which has over a 3.6 star rating, 1,000,000 downloads on the Google Play Store, and 27,700 reviews (which means, like the Whirlpool app, under 2% of people who installed the app left reviews) does not have a perfect track record. Although both brands released their apps in 2015, and LG has a 3.6 star rating as of this writing, over 40% of LG's reviews are one or two stars. All this is to say, we can't completely dismiss the Whirlpool app based on the reviews alone. The 98% of people who downloaded the app did not have a powerfully positive or negative experience significant enough to leave a review. It's possible that some of them installed the app and didn't use it - but it seems reasonable to expect that most people who buy smart appliances want to use the smart features! We hope as Whirlpool connected appliances become more popular, we'll see the reviews balance out. 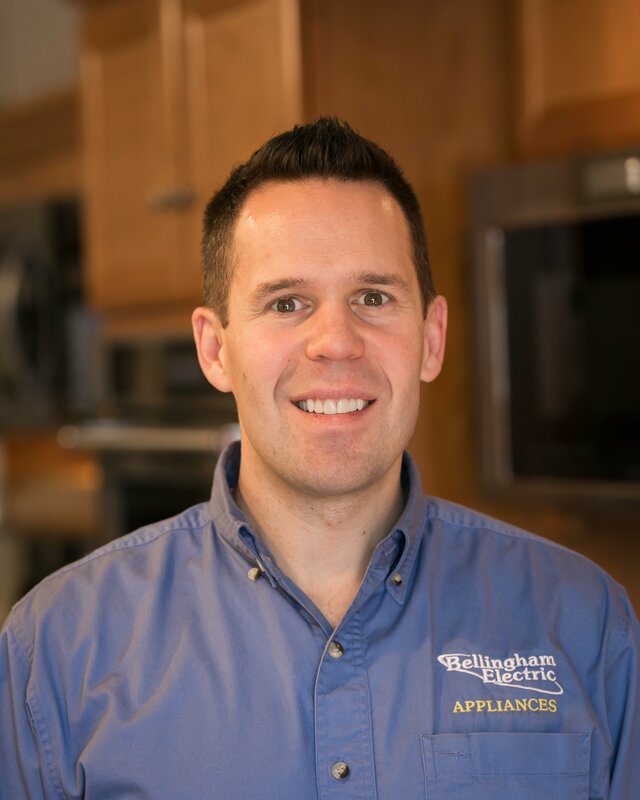 It can be hard to find details on Whirlpool connected appliances since many of them are new for 2019 and may not be fully released yet! We expect that more information will become available as the manufacturer continues to release new, upgraded models. We're definitely excited to see these new features and options. What do you think of these new features in Whirlpool connected appliances? Are you looking forward to seeing Sunset Bronze appliances and Whirlpool's new smart appliances in person? Leave us a comment below - We'd love to hear from you!